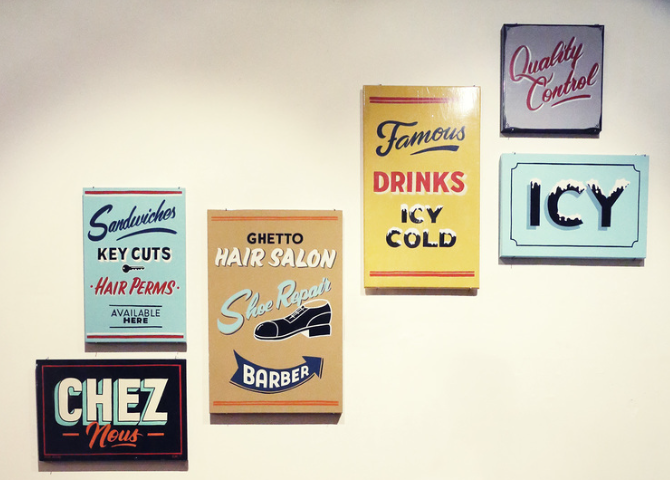 MHM loves traditional sign painting, a sadly disappearing art form. Developments in digital printing and vinyl decals had forced a dramatic decline in hand-painted signs with consumers turning to cheaper alternatives. Tristan Kerr is a freelance designer and artist living between France and Australia. Since graduating design school he has worked in Switzerland as a Screen-Printer and various design studios around Australia and France. He is now based in Adelaide, Australia where he focuses on his art and freelance design. 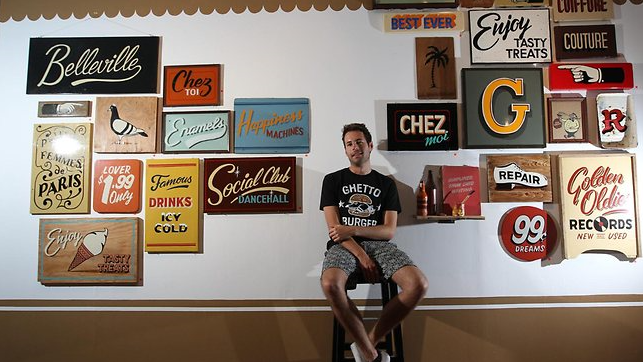 The traditional craft of Sign-Painting and hand lettering is a large part of his practice today.